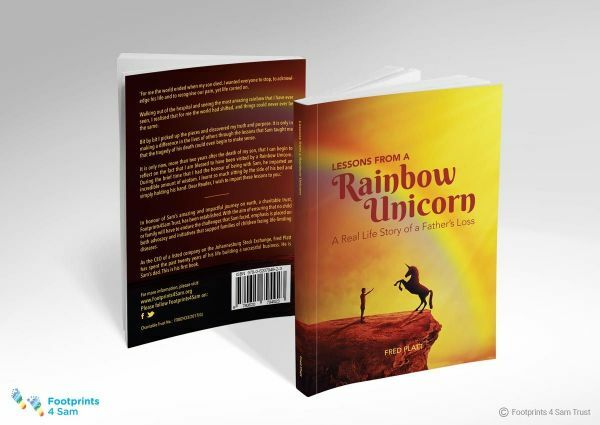 A book written by Fred, Sam’s dad, that gives insight into his journey and the lessons learned from Sam the Warrior and Mighty Super Hero. Fred in anticipation of his son’s birth could not wait to teach his son all the many lessons that he had learned in life and in the end, instead Sam taught him… These are Sam’s lessons to the world, a heartbreaking but beautiful read that will carve footprints on your heart forever. - Parents in general, especially Dads. - Healthcare professionals - young and old. Our mission is to leave footprints of change in neonatal and paediatric wards countrywide, through the cultivation of a healthcare culture of swift and broad-based intervention, early diagnosis and real and achievable family centred solutions, which promote excellence of life for both child and family.